The Ronroco is a stringed mandolin like instrument of the Andean regions. It has a sound box traditionally fashioned from the shell of an armadillo or tortoise, now often made of wood. It typically has 10 strings in five courses of 2 strings each. Primarily played in traditional Andean music, today, it is often to be heard in the music of Gustavo Santaolalla. As a bonus we also recorded a soprano Ukulele which was manually customized from a four to eight string version. In order to build a realistic instrument we recorded both instruments with 4 different microphones positions. Finally we decided to release two different ronroco instruments: a raw Ronroco with a mix of all microphones and a fine Ronroco with just one close microphone.The Ronroco was recorded in 4 Round Robin variations and 3-5 velocity layers. Both patches are coming along with several options to shape the sound such as EQ, cabinet, distortion, reverb, delay and a soft touch button for a more gentle playing. Beside that, the fine version includes also a simple arpeggiator with separate pad and noise control. 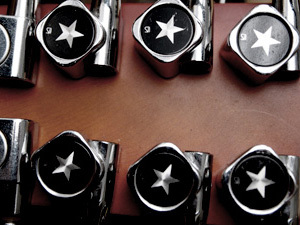 The Ronroco is very inspiring and will certainly enrich your music production. The 8string ukulele is available in 3 kinds of single notes (muted, short and open) and contains a powerful speciality: a 16th note strumming sequencer. In order to achieve a real strumming feeling you can choose between up- or downstroke notes and muted or open notes and you are free to add strumming noise to it. This is fun. Please check out the demos. 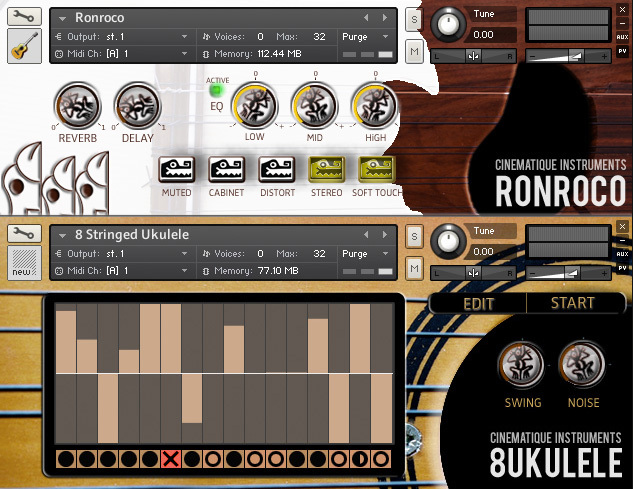 Two complex Ronroco and one 8string Ukuele patch. For more details please read the manual.